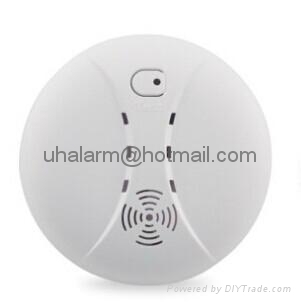 UH optical smoke detector is a safety alarm device to sensing smoke. 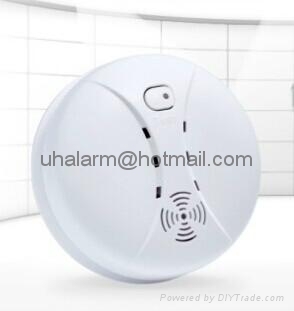 When display value of gas concentration is out of the scope of lower limit protection value, alarm indication lamp of smoke detector is lighted and ringing. * Ceiling and wall mounted. * Power Source: 9VDC battery. * Ambient Humidity: 10% - 90%. * Horn Level: 85 Decibels at 10 feet. * Battery life: 1 year min. 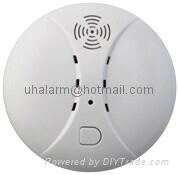 If you would like to get more information of photoelectric smoke detector, optical smoke alarm, please contact us by email. Welcome to order by OEM and ODM! Our smoke detectors made by CE standard.